2019 has been a busy year for Adzooma. Here’s a summary containing every product update we have added to the platform so far. It also includes what’s coming soon. Phew. It’s been a busy year so far at Adzooma. It’s time for a quick cup of tea and a summary update! We started the year with a bang and launched the Adzooma Early Access Programme (EAP). It involved recruiting a ton of brilliant users and giving them direct access to our development team. This was a pretty big deal for us. Why? Because the EAP helps shape the features we should prioritise. The fantastic feedback we get helps drive how we move forward with the Adzooma Agency platform. We are extremely grateful to these early champions and we look forward to bringing in more people to help us innovate. 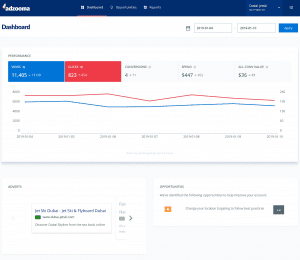 Since launching Adzooma, one of our most requested features was support for multiple Google Ads accounts. We listened and launched it in January. 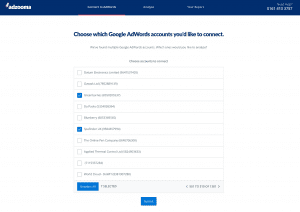 This update allowed our clients to connect multiple Google Ads accounts to Adzooma. It allowed access to reports, the Opportunity Engine and automation across every managed account in just a few clicks. It opened up Adzooma to agencies or businesses looking to manage many accounts at scale. The same was true for freelancers running PPC campaigns on their own. It allowed them to manage more spend without taking on more staff – something that’s at the very core of what we do here at Adzooma. It took plenty of tea and typing, we can tell you. But it was absolutely worth it to make Adzooma available to a wider range of users. We couldn’t have opened everything up to people with multiple accounts without this vital step. The beating heart of Adzooma netted some lovely updates too. If you’re new here, our Engine analyses your accounts and performance data. It recommends bite-sized improvements you can action to drive performance. Most of them take one click to implement and everything can be done from within your Adzooma account. Opportunities are integral to the Adzooma platform and they’re always being worked on. But this update also added a new interface for managing and applying opportunities. Our card-based interface works for a lot of people, but this new setup allows more advanced users to do some great things. Sort, filter and organise Opportunities in a way that works for you. This was a massive update. You can read about everything more in-depth across these two posts: Multiple Google Ads accounts and Opportunities Queue. Any Google Ads account manager will tell you one thing: there are repetitive, time-consuming tasks that you could do without. Adzooma’s Automation feature is all about cutting away at the workload. It’s about freeing up valuable time to focus on clients and high-level strategic decisions. Interested? The update post is well worth a read. Campaign, ad group, keyword and advert reports were made available for download as PDFs directly from your Adzooma account – with just one click. 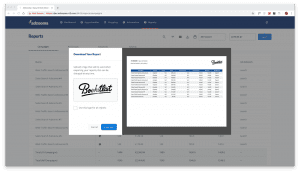 The reports are fully customisable and allow you to add your own logo, making them a great tool to present account performance data to your manager or clients. If you want to find out more about this update, read this. This was another hotly requested feature. You can go from closing a deal with a brand new client to optimising their account in record time. Open the management tab, add the account and get started with just a few clicks. Everything gets imported within minutes so you can really hit the ground running. The brand new Adzooma Management tab is a great addition to the platform. 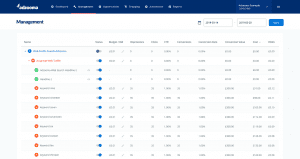 It’s a top-down overview of any account that lets you quickly manage everything in one place. The tab gives an instant one-screen evaluation of any account, which allows you to prioritise what needs your attention right now. Read about the one-click toggle of campaigns, ad groups and keywords – and all the other features of this update – right here. And there’s even more to come based on the feedback we get from our fantastic clients. If you’re interested in joining the Adzooma family, get in touch. I studied law and taught English to rowdy secondary school kids. Having produced content for companies big and small, I’ve found a brilliant home with Adzooma. When away from the writer’s desk, I can be found gaming, having a quiet pint or catching up with the baseball or ice hockey. If we meet, don’t ask me about books, music or film: I’ll bore you to tears.